The University of Chicago, University of Pennsylvania, Washington University in St. Louis, Harvey Mudd College and Grinnell College are all part of the newest cohort of campuses to join a growing community of academic institutions partnering with Raise.me, a platform that helps high school students raise funding for college. The platform rewards good students for their hard work: Starting from grade 9, students can input their achievements (class grades, clubs, sports, etc.) to earn “micro-scholarships” from colleges on Raise.me. Different academic institutions award different amounts for the same achievement. So, U Penn could reward a student $150 for earning an “A” in algebra, while Grinnell could offer $100, for example. Micro-scholarships typically range from $100 to $3,000 and can be redeemed once a student is admitted by a partner college. 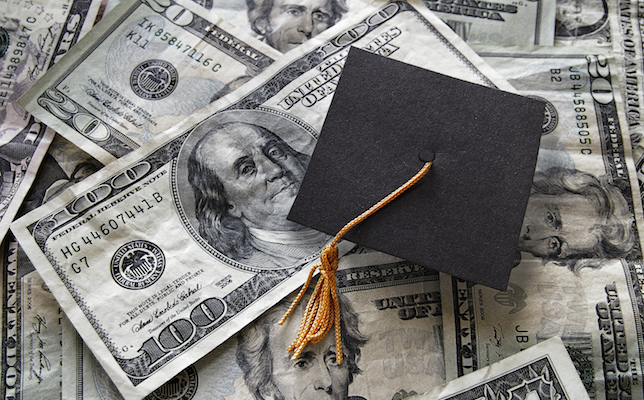 More than 700,000 students, or one in every two students attending high schools across the United States, have used the platform to raise money for college, a recent company blog post states. The average Raise.me user receives about $20,000 from partner colleges. Raise.me launched nationally in the fall of 2014. The company says it focuses on boosting access to higher education, especially for low-income and first-generation students. The platform has helped students earn more than $1 billion in scholarships. “Raise.me’s college partners see micro-scholarships as a way to remove perceived financial barriers and show students a path to college that they can pursue with confidence,” said George Kirkland, Raise.me co-founder and vice president, in the blog post. “Raise.me helps Washington University achieve one of its most important priorities — to expand opportunities for talented first-generation and low-income students. We are excited to provide a tool that both motivates students to work hard and educates them about the college application process while expanding their academic reach and making WashU and the partner institutions accessible to them,” said Ronné Patrick Turner, vice provost for Admission & Aid at Washington University in St. Louis. To learn more about how the micro-scholarships work on the platform, watch the video below.